During middles school student takes pictures of the things that are important to them. When creating a video you want to make the video fun and relating.Create a video takes time and patient. The information on how to build a video can assist students in using pictures that they took during their middle school years from at school, home,etc. To enhance the video students can add their favorite song. Music makes the heart merry. After, creating a video student have the ability and opportunity to upload their video to YouTube. 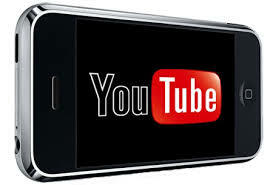 YouTube is the most popular video host in the world. What makes a great video? As a video producer, you have the ability to create a video that can get million of hits on YouTube. All students go over the class rubric to make sure you complete all the steps required for higher order thinking.